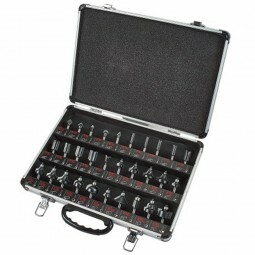 Excellent 30 piece cutter set supplied in an aluminium carry case. Set includes fifteen guided and fifteen unguided router cutters. 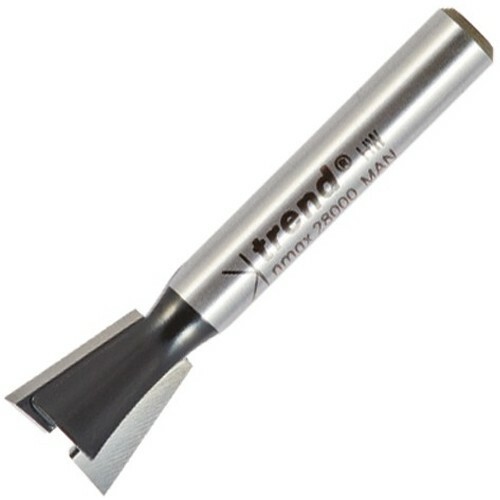 For cutting softwood, hardwood, chipboard, plywood and MDF. 1 x Straight 5mm x 12mm cut. 1 x Straight 6mm x 20mm cut. 1 x Straight 8mm x 20mm cut. 1 x Straight 10mm x 20mm cut. 1 x Straight 12mm x 20mm cut. 1 x Straight 14mm x 20mm cut. 1 x Straight 16mm x 20mm cut. 1 x Straight 18mm x 20mm cut. 1 x Straight 20mm x 20mm cut. 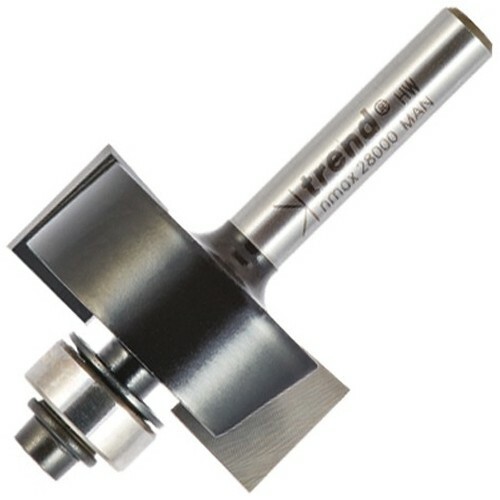 1 x 45 Degree v groove x 12.7mm dia. 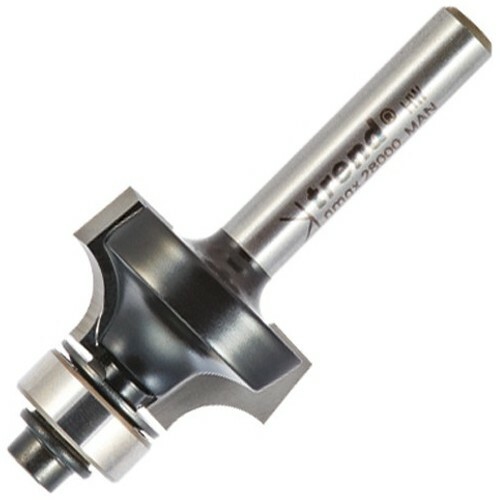 1 x 45 Degree v groove x 9.5mm dia. 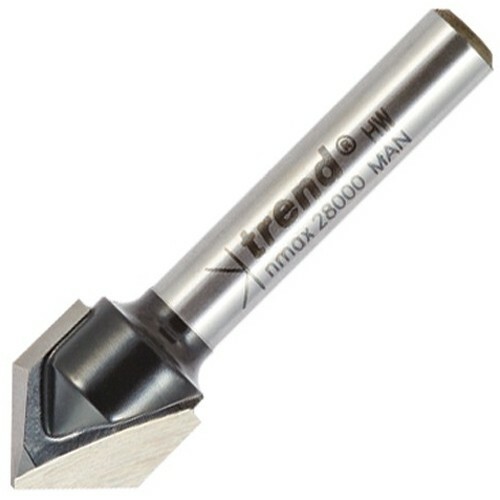 1 x Dovetail 104 deg x 12.7mm dia. 2 x Core box R3.2mm & R6.35mm. 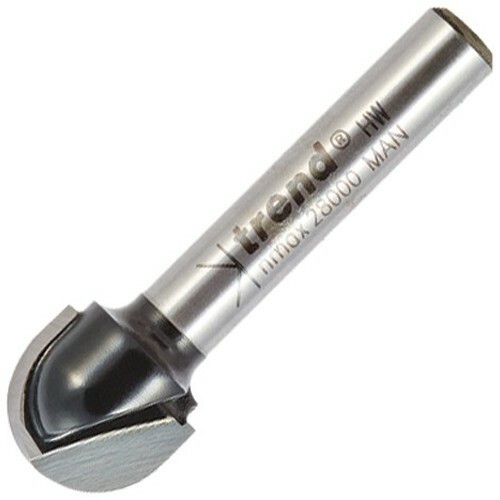 1 x Guided trimmer 12.7mm x 13mm. 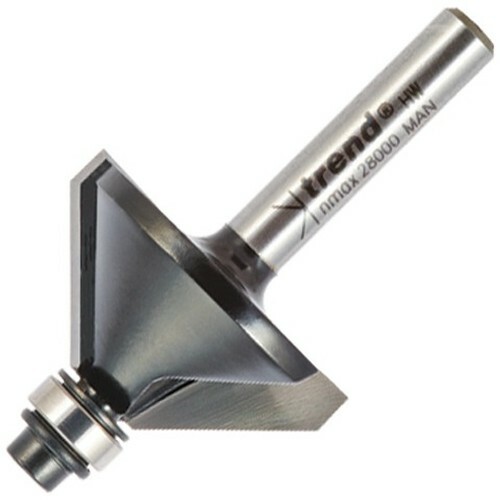 1 x Guided 45 degree chamfer 31.5mm dia. 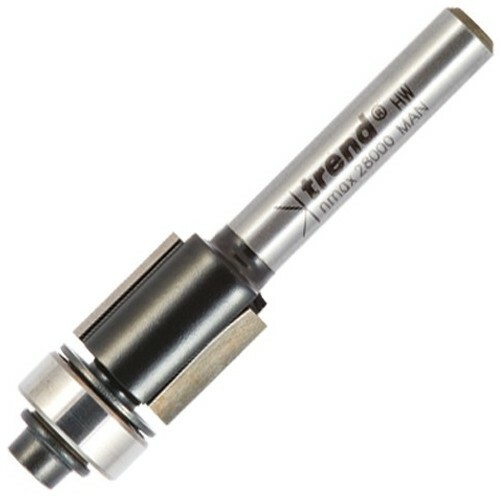 1 x Guided 25 degree chamfer 16mm dia. 4 x Guided round over R3.2, R6.3mm, R7.9mm & R9.5mm. 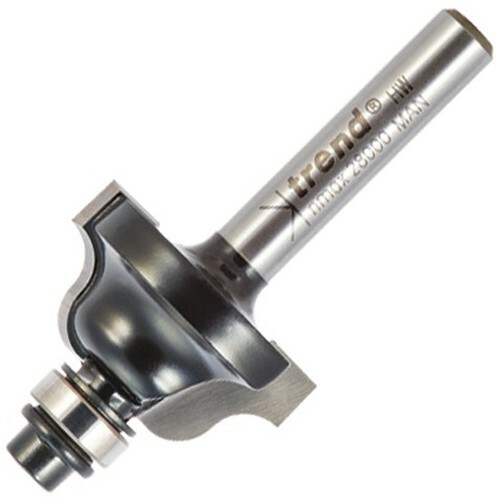 4 x Guided ovolo R3.2mm, R6.3mm, R7.9mm & R9.5mm. 2 x Guided cove R6.3mm & 9.5mm. 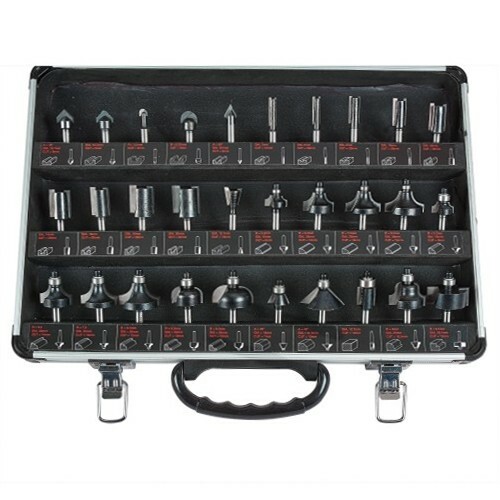 1 x Classic panel 12.7mm dia. 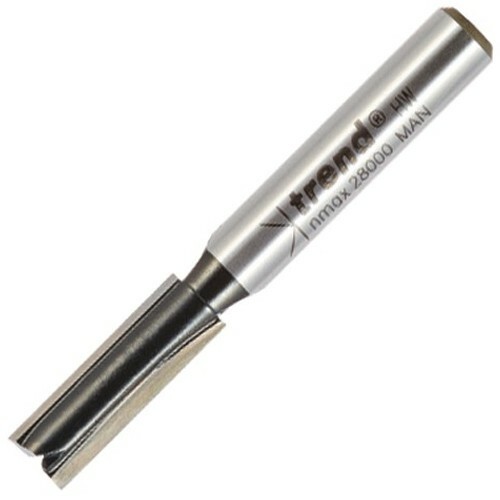 1 x Guided roman ogee R4mm x 25mm dia. 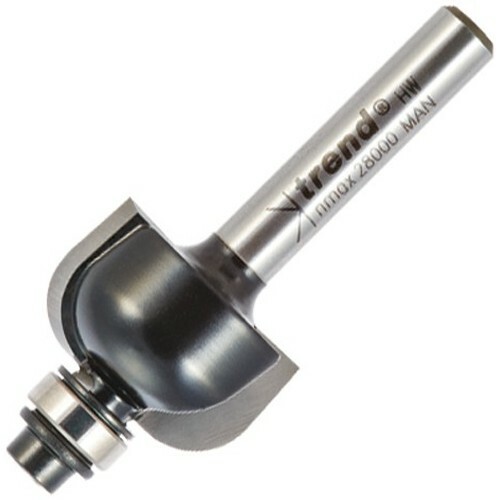 1 x Guided rebater 9.5mm x 28.6mm dia.